Practically every well-equipped kitchen has a dishwasher. 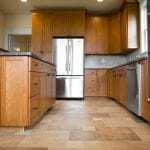 The latest models in the market are packed with features and are available in different finishes, so that you do not have to worry about matching them to your kitchen décor. 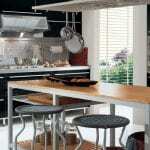 Most people opt for the stainless-steel finish that looks trendy yet is easy to maintain. Most dishwashers work silently and use very little power per wash cycle. They use water conservatively and come with a drying option. Energy is further saved if you go in for a dishwasher that comes with internal water heating since that removes grease from the dishes without having an impact on your home’s hot water supply. As such, kitchen appliances like dishwashers are investments that make life a great deal easier, hence they must be chosen with care. 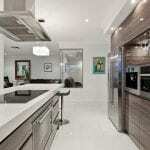 Let us understand how a dishwasher works before looking at how to choose the right dishwasher. A dishwasher is automatic equipment that cleans and washes your dirty dishes. Once you load the dishes, add cleaning agents, preset the washing cycle, and switch the machine on, it begins the cleaning process. It first fills itself with water and then heats the water. The cleaning agent dispenser is opened and combined with the water to clean the dishes. At the end of the cycle, the dirty water is drained out. More water is sprayed on the dishes and they are rinsed after which the water drains out again. The air in the dishwasher is now heated to dry the dishes. Most dishwashers come with a timer setting that controls the cycle length. Sensors ensure that the water and air temperature are right, so that neither the dishwasher nor your dishes get damaged through overheating. There are also sensors that can intuitively decide when the dishes are clean. Dishwashers are efficient. Also, depending on your specific requirement, you can go for the features you will use the most. Keep size, durability and convenience in mind when choosing a dishwasher. Expect to spend in the range of $200 to $2000 depending on the features and model you go for. Dishwashers come in different sizes. 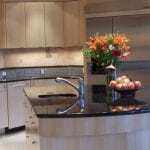 There are small in-sink dishwashers that are integrated into a portion of your kitchen sink. These manage to wash a full load in 20 minutes and can be covered and used as a countertop when not in use. Most dishwashers are about two feet wide although you also get units that are smaller. The larger the dishwasher the more you can load. There are portable or built-in models. 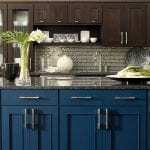 The built-in models can be discreetly blended with panelling to match your kitchen cabinetry. The simple models come with plastic basins while larger units have stainless steel basins. While lower end model filters must be manually cleaned, the expensive ones have self-cleaning systems. Dish racks are available in a large variety like collapsible, folding tines, removable etc. with a lot of flexibility. You can go for lower end models with mechanical controls like dials or invest more in push button controls and digital readouts. If you opt for the higher end models, you can enjoy electronic touch pad controls, durable stainless-steel fittings, different wash cycles for china, crystal, heavy pots and pans etc. The mid-level models have push button controls and dials with three wash cycles, namely light, normal and heavy. Energy and water use is an important factor. Look for a US Energy Star rating on the dish washer to save on utility bills. A good dishwasher will always save energy, water and of course, time. Dishwashers are available as both residential and commercial models. They are a convenience as they work efficiently to save time, energy and water. Choosing the right dishwasher depends on a variety of factors.